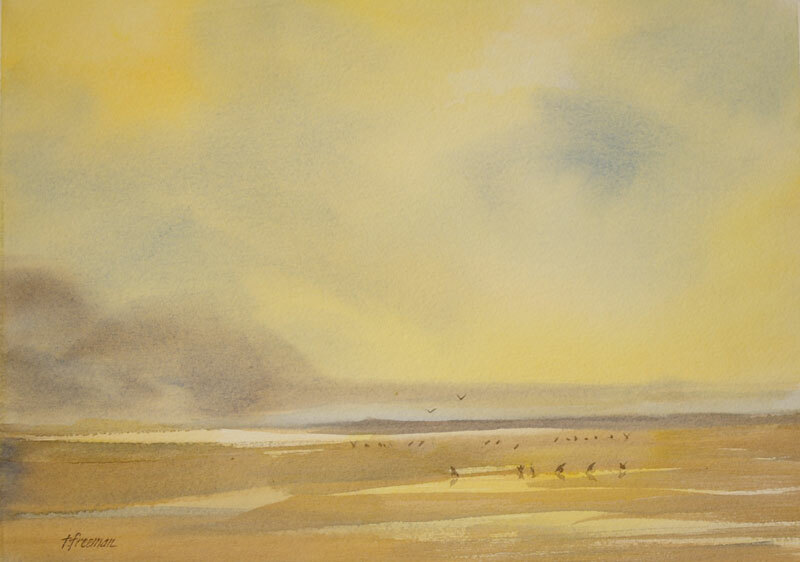 Thomas Freeman Original Watercolor Painting: "Quiet Time"
A painting of the Pacific Shoreline. It was painted wet to the ocean line. Then the sand area was painted. Very soft and very quiet – just the birds and I.